Old mobile phone frequencies in the UK could get a new lease of life thanks to proposals by regulator Ofcom. The telecommunications watchdog wants to loosen restrictions on who can use the portion of spectrum currently reserved for second-generation mobiles. 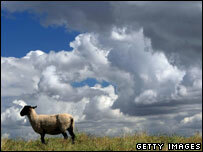 By opening it up, Ofcom hopes to boost 3G coverage in rural areas and speed up mobile downloads. Ofcom plans to hold an auction to choose which company gets to use the liberated spectrum. Currently the parts of the radio spectrum available for second generation mobile services are divided into two tiers. One, operating at 900MHz, is only used by O2 and Vodafone. The other, at 1800MHz, is used by those two companies plus Orange and T-Mobile. Ofcom imposes restrictions on these frequencies which mean they can only be used for 2G. If Ofcom's proposals win support, the 900MHz frequency will be available for three other operators to use and both chunks of spectrum will be allowed to support both second and third generation services. Owners of the right to use these parts of the spectrum would also be able to trade these rights to other companies. By lifting restrictions, Ofcom said that operators would be able to boost the data carrying capacities of their 3G networks for relatively little cash. The loosening of regulations could mean much better coverage for rural areas, boost download speeds and improve reception inside buildings. Most of the benefit would likely come from greater use of the 900MHz frequency as 3G equipment using this frequency is already starting to appear. The consultation period will close at the end of November 2007.